Here’s our best soundcloud submissions from January. Make sure to share tracks with us to our soundcloud! The first track is from Damien J. Carter and Claudio Lari, two up-and-coming DJs from Europe. They just released a free banging track called “Pyro” that is a must-listen if you like electro-house music. If Rebecca Black was couple of males instead of a young girl and liked to do some rapping with her subpar vocals, this is what she would sound like. Check out Gabe and Benny‘s “Party”, it’s got a fun pop vibe with brief moments of rap and dubstep and the singers saying the word “Party” a lot. Download the song on their website. Next is Matt Balfe with “Give Myself to You”. I think the track needs some vocals and maybe a remix/refix from Balfe or some other DJ. The Australian DJ who does mostly house, electro and dance club type music is an up-and-comer to be on the lookout for! Lastly we end with some chill sampled hip-hop from Cypher Clique. They sample Pete Rock, and have some dope rhymes over the old school hip-hop jam. I look forward to more original material from Cypher Clique but for now I can dig this old school vibe. We got a banging new hip-hop track from Eddy B & Tim Gunter. This song represents our message and our movement, #MusicFutureNow. Listen and download “Young Superstars” below, reminds me of a mix between The Dean’s List and Chiddy Bang. Brian Lopez may be an unfamiliar name but he hits familiar points that will draw you close – looks like Albert Hammond Jr. (The Strokes), has the same delicate voice as Damien Rice and strums like the great Jeff Buckley. Based in Tuscon, Arizona, Brian presents a desert-noir, psych rock vibe and shakes things up with a couple Spanish-language tracks. His full-length, Ultra, is set for release on March 6. Until then, go to his website for a free download of “Leda Atomica.” Stream samples of his upcoming album, Ultra, below. 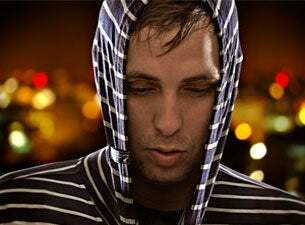 Derek Vincent Smith, aka Pretty Lights, has seen his popularity rise exponentially since he began dropping awesomely soulful hip-hop beats on the people of Colorado. The man with the awesome electric shows, and the bangin samples sprinkled throughout his music, truly represents everything that is right in the world of Electronic music. To say that Pretty Lights is a DJ would be an insult to this man; constantly mixing live and sampling all kinds of different genres, his concerts are more of an experience than anything else. One of his newest tracks, I Know The Truth, was created with technology that dates back to the 1960’s; he even pressed his own vinyl in order to get the grungy feeling that he achieved on the track. His light shows bedazzle his fans and leave them asking for more once he plays his last track. Pretty Lights even created his own label signing artists of similar nature, and offering all the music to be downloaded for free, that is the spirit of EDM and Derek embraces it wholeheartedly. It’s time to get funky with some new Das Tapes video, I believe their debut music video. It’s a must-listen song, “This Party”, which is off their self-titled EP (iTunes). Stream and buy the song “This Party” below. Kosha Dillz will probably go down as one of the most famous jewish rappers of the 21st century. After seeing him live for the 2nd time in late 2011, I became a big fan as he’s a crowd pleaser and really a talented MC. Recently he’s been doing lots of shows, putting out new tracks over once a month and killing the hip-hop game with press all over. Here’s my three recent favorites from the Jewish rapper from New Jersey. Follow Kosha Dillz on facebook and twitter. Here’s two mashup/cover’s that are new and fresh from PAZ. He recently dropped a mashup, singing “Look At Me Now” over some Deadmau5. The song is called “Look At My Ghosts”, is remixed by Drunk Panda. This is the 2nd single from Young Broke & Fameless II, set for release early 2012. Next is another mashup that PAZ did, mashing Drake‘s “I’m On One” vs Big Sean‘s “My Last”. This is an acoustic mashup with a real chill vibe anybody could like.